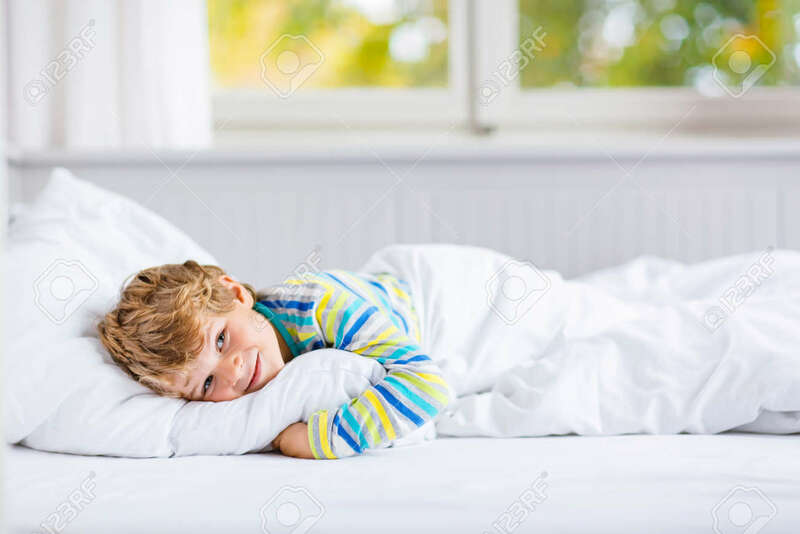 Adorable Happy Little Kid Boy After Sleeping In His White Bed In Colorful Nightwear Near Big Window With Green And Yellow Autumn Foliage. Funny Happy Child Playing And Smiling. Family, Vacation, Childhood Concept Royalty Free Fotografie A Reklamní Fotografie. Image 65990987.